I’ve photographed a lot of large groups and families, with my fair share of grumpy, tired, shy, distracted, or misbehaving children. And I’ve come to a conclusion: pretty much nothing mom or dad says to this child is going to help the situation. Most large group photos happen in conjunction with a family reunion or event, so it’s probably been a long day already. The parents of these kids are likely stressed, frustrated, or even embarrassed with the situation, and that pressure affects how they communicate with their children. 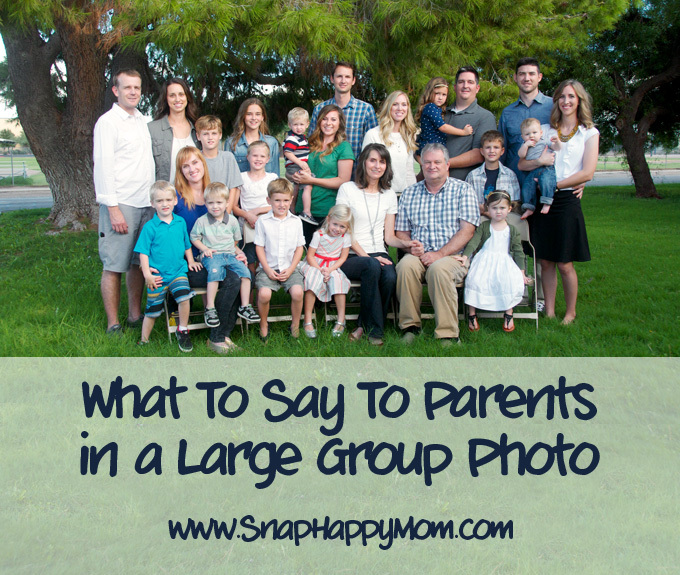 In a large group or family picture, it’s instinctual for parents to turn to any child who is not looking at the camera, and encourage them to behave. Unfortunately, this doesn’t usually help very much, and in fact, it usually makes it worse! If mom is talking to her child, than neither of them are looking at my camera, which means I have two people to worry about head-swapping later. Also, do you know any child that immediately perks up and smiles if mom threatens them to behave? Nope, me either. It doesn’t matter if the kids are shy, distracted, or seriously moody. When parents desperately urge their kids to smile, those kids will get more and more stubborn. Neither emotion looks good in photographs. I recognize that these parent have the best of intentions, but there’s something about picture day that makes everyone’s emotions run high. I tell the parents in the picture to kindly ignore their misbehaving children. In a big group shot, I’ve already planned on editing or head-swapping children who are frowning, pouting, or looking the wrong way. What I want to avoid is editing both a child AND their parents. And if mom or dad tries to “make” their child smile–by snapping their fingers, pointing to the camera, whispering to them under their breath, or giving them a stern glare–it won’t look good on camera. Of course, I do everything I can from behind the camera to get that child’s attention and find a smile behind that grumpy mood. 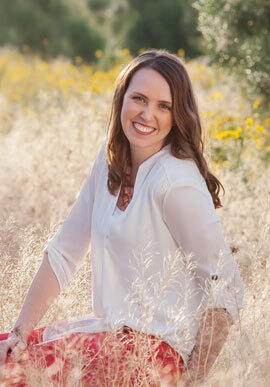 I will play peek-a-boo, blurt out silly words, and make funny sounds to get those children to smile. But that entire time, I want mom and dad to keep looking at me no matter what their child does, so that they look happy and relaxed instead of frustrated. I can edit what I need to afterward. Sometimes, I have to be a bit more stern while I’m actually taking pictures. I’ll will call them out by name and “Mom! Look right here! Yup, just keep smiling! Right here!” And I don’t stop clicking the entire time! And you know what? It works. I can put a stop to a lot of tantrums before they even start. If I avoid letting mom and dad indulge in their bad mood, most kids will perk up and at least look at the camera. Since I take tons of pictures of a big group, there is usually at least one with a decent expression that I can use for editing purposes. This also means less post-processing work in the long run because I can start with the picture where mom and dad are already looking at the camera, instead of looking at their kids. So, give it a try. Say it with a smile, and be kind about it… but ask those parents to look at your camera no matter what happens. They probably don’t realize how they look in pictures when they are trying to get their children to look too.